"(...) driving into the centre of london can be relatively straightforward, or it can take you through the vibrant and energetic Borough of TOWER HAMLETS, where the buzz of mile end road’s market and the City’s towering skyline contrast in close proximity to each other (...) two worlds apart, and yet mingled into the East End (...) the hum of tourists hitting the streets between liverpool street and tower bridge only adds to the unique atmosphere of this Borough: one of the greatest melting pot areas in the world -- MONAKKA MONOWAR welfare foundation is here to enforce community cohesion, fight anti-social behaviour, celebrate and preserve tradition." DSC02448, a photo by mmwf on Flickr. 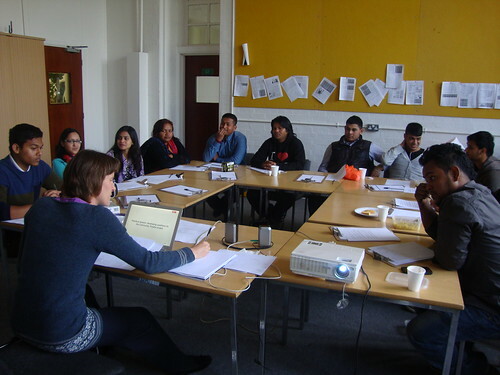 MMWF works, since 2004, in Tower Hamlets, a very diverse borough of London, with above-average unemployment and poverty rates. We provide a range of projects, training and one-to-one services aimed at giving to all in our community a better chance to fully develop their potential. Our activities aim at supporting local people in escaping isolation and disengagement by establishing support strategies to ensure community participation and personal realisation.